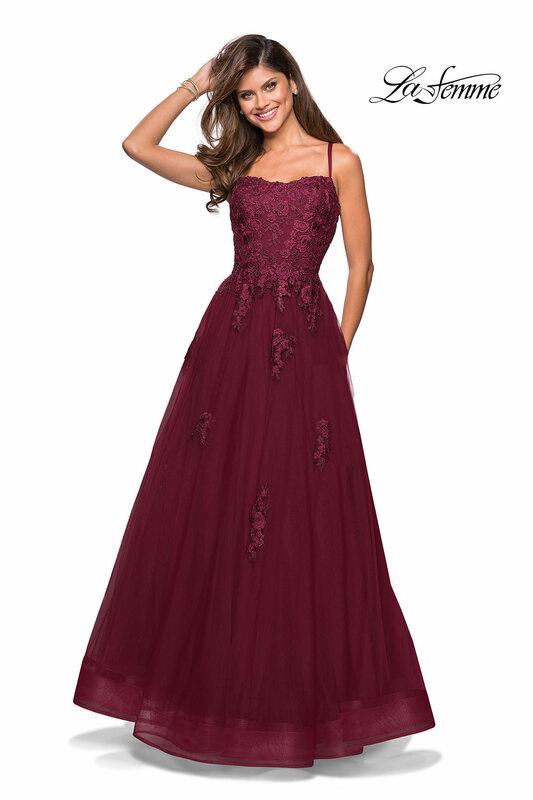 Be romantic in La Femme 27441! 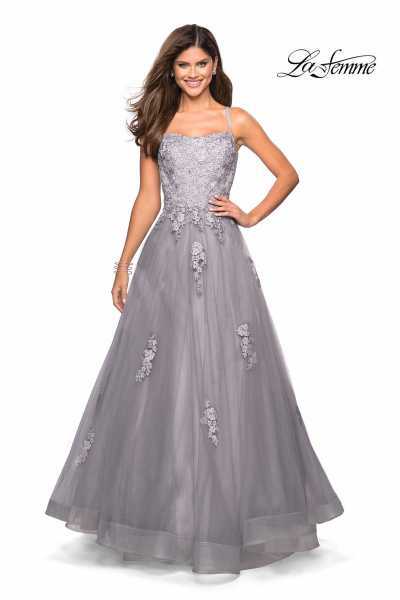 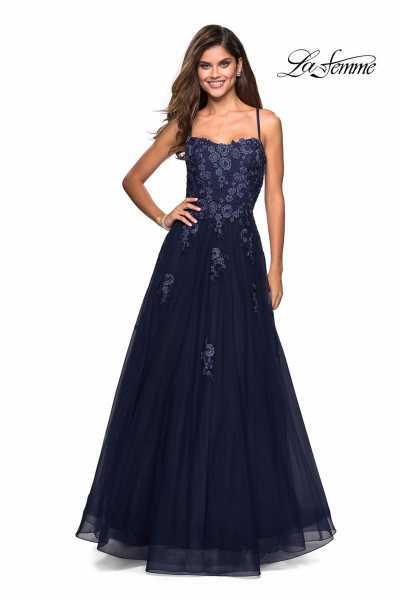 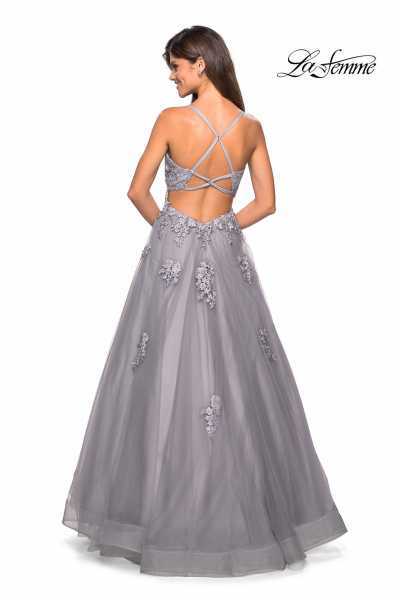 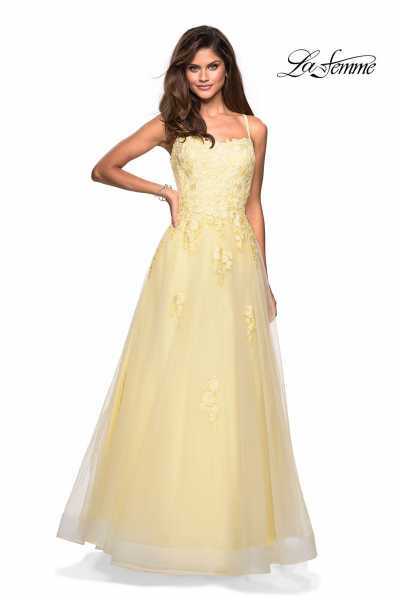 This ball gown has cascading floral accents from the bodice onto the skirt. 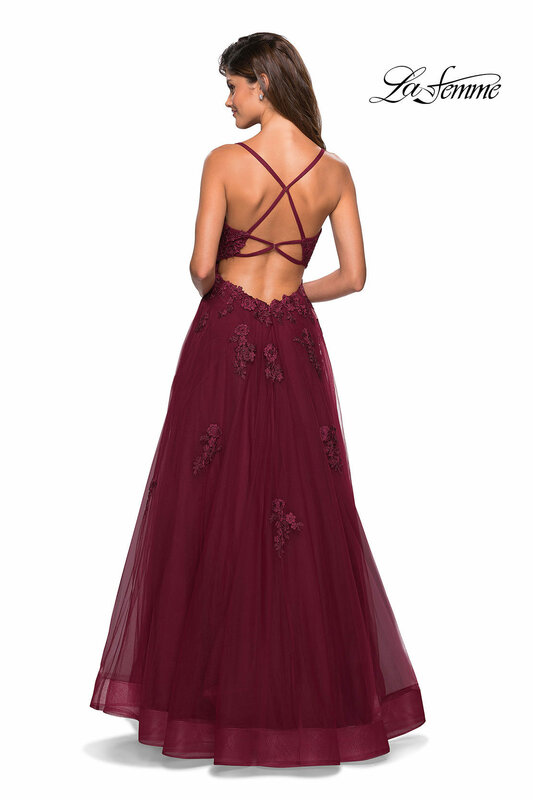 The back is zippered with trendy straps across the open back. 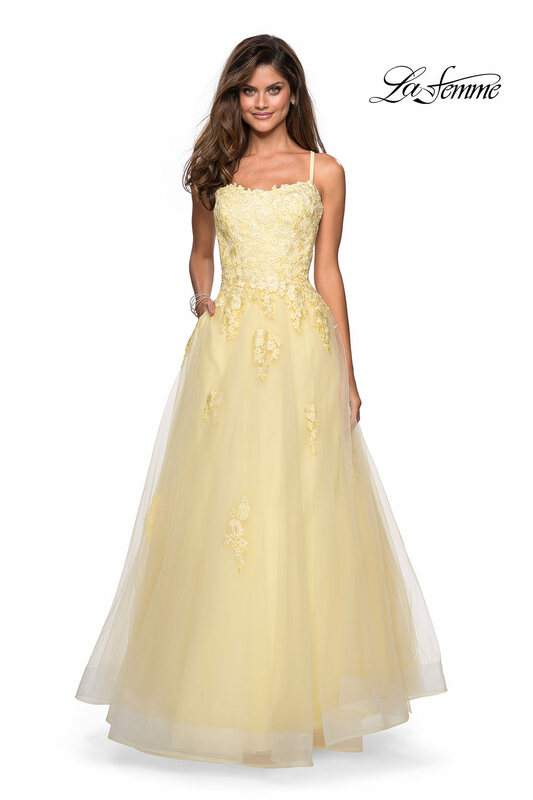 The full skirt is made from light and floaty tulle, accenting the waistline.